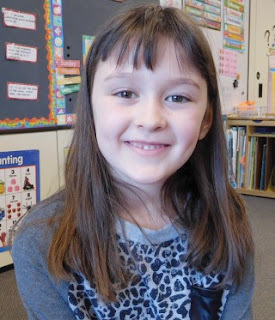 Aja Freyre, a first grade student at Raymond Elementary School, is The Windham Eagle’s student of the week. The seven-year-old enjoys ballet and hip hop dancing. Freyre, whose favorite subject is writing because she thinks it is fun to create stories, believes learning is fun when she has choices. She also enjoys learning with friends. When Freyre graduates from school, she plans to get a job, a boyfriend and a car. Freyre lives at home with her Dad (Rafael), Mom (Bree) and brother (Rex.) Although she does not have any pets at this time, she hopes to one day have a dog, a rabbit and a fish. Favorite music group: Michael Jackson, Alexander Hamilton, Snarky Puppy and Sly-Chi.